Welcome to our firsthand RTIC koozie review. Have you ever had your beverage get warm before you even began to enjoy it? Ever find yourself needing to put it back into the refrigerator or cooler? If you have, then you know that it just doesn’t seem to hold the same taste. 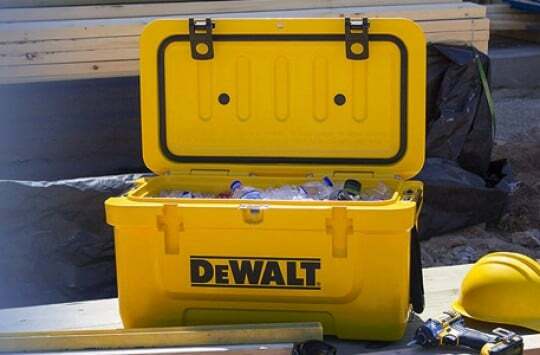 Sometimes your needs don’t call for a cooler like the RTIC line. Sometimes your needs just call for a single drink cooler, but does that EVEN exist? It sure does. We are about to show you here in this RTIC koozie review. 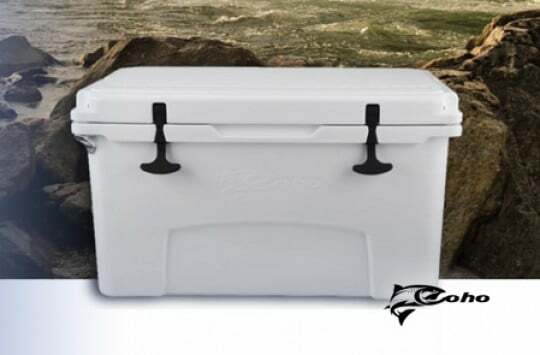 You’ll see in this RTIC can cooler review that you can get a cooler for your individual drink, at a price that you’ll be more comfortable with, especially if you’ve already taken a look at the Yeti Colster. You have probably seen koozies before, but none like this. If you have ever tried a koozie before that just didn’t hold the cold as long as you’d had wanted to, then you’ll be in for a pleasant surprise with the RTIC can and bottle koozie. A surprise that will be 10 times as nice, but we’ll get to that in a bit. Looking for More Customer Reviews? >> This product page on Amazon has tons of them. Right out of the box what you will notice is a no-frills product that simply does the job. It comes in a plastic cover that is then placed in the actual box that houses the can koozie during the shipping process. Out of the box you will see that it doesn’t come with some of the additional promotional materials (which many can do without) that typically comes with a product like the Yeti Colster. Most can koozies work in a similar fashion. Many often look like a sleeve that will remind you of a neoprene knee brace. 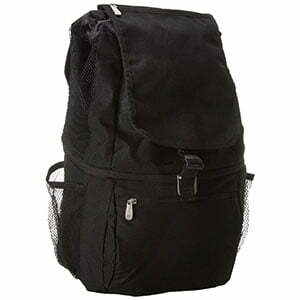 They are generally one sleeve that slips around the bottle or can or on some occasions will zipper up. The RTIC can koozie on the other hand, has a specific mechanism that will remind you of an actual cooler. The insulated stainless steel body acts in the same way your RTIC cooler would. However, there is a bit of a twist (no pun intended). There needs to be a way for you to access your drink, so an open circular locking gasket is placed over the top of your can or bottle, then twisted into place to lock in the cold. What you essentially get is a drink that is completely insulated for maximum cold retention, while still providing access to your drink. As with the RTIC cooler review you might have already seen (if not, read it here), the discussion comes up of ice retention. In this case, there is no ice involved, so we will take a closer look at cold retention. Put a better way, we give you an idea of how much longer you can expect your drink to stay cold. In this case, 10 times longer. This means that you can let your drink sit for longer periods of time before having to get another one. While this may not seem like a big deal, what you’ll find is that you are actually able to enjoy it, instead of rushing to drink it before it gets warm. You’ll also be able to avoid having to drink a warm beverage, which many can agree is not the most enjoyable thing to do. What does this mean for drinks such as a soda you may want to take with you on your extended drive? Not much, other than a longer lasting cold beverage. You may be put off because of the added size, but what you’ll come to realize is that the RTIC can cooler will fit more cup holders. The cup holder friendly design means that it will become more of a traveling companion than you may think. The problem with many cans and bottles is a sweating exterior which leads to two problems. The first is a warm drink, while the second is a small puddle formed at the base of your drink. 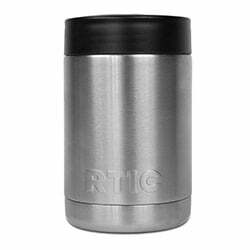 The RTIC can koozie has a sweat proof exterior which means that you won’t be needing a coaster for your drink. If water rings on tables from drinks within your home or elsewhere was a problem, you can rest comfortably now knowing that it no longer will be. There are two parts to this koozie. The actual body housing and the locking gasket. The body itself is comprised of stainless steel and a double walled vacuum insulation. 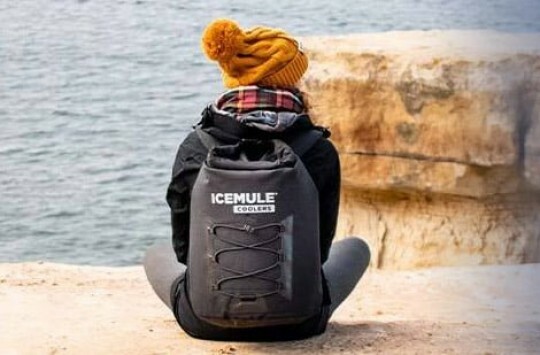 Inside and out you will find durable high quality material that will withstand a variety of environments, while giving you maximum cold retention times. The build of the body will also ensure that your hands are not having to deal with a cold can or bottle each time you pick it up to take a drink. The second part of the koozie locks everything in place to ensure that your drink is colder for longer periods of time. Once you slip the bottle or can into the body of the koozie, you can then easily slip the gasket over the top and turn it to lock the drink into place, as well as locking the cold in. This can be a deal breaker for those looking for a koozie, especially if you are looking for a higher end product. Are you ready for the best part of this RTIC can cooler review? In most cases you can pick up your RTIC can koozie for under $10! At that price, you just may want to pick up several for your home, vehicle and office. When you compare that price to similar models on the market, you’ll see that they do live out the saying “Half the Price & Keeps the Ice” well actually in this case more like “A third the Price & Keeps the Ice”. What Are Actual RTIC Can Cooler Users Saying? There are many different reviews of the RTIC can cooler online. Typically, we would list the various types of reviews and the comments that users have made. 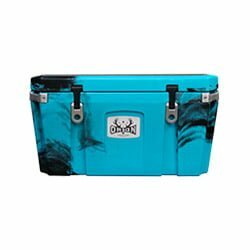 Keeps drinks cold for the same amount of time as the other brands in the industry. Some users compared similar models to the RTIC koozie. Great price at a third of the cost of competitors. That’s what most are saying and we confirm this – It works just as well and costs a lot less. It’s a really good product, especially for the price, and we have to admit we’ve been enojoying using it since the day we first got it in our hands. If you have been thinking of getting a can koozie or can cooler and need a recommendation, then look no further than this RTIC koozie review. Our goal is to give you the best information possible for you to make the best decision when it comes to getting a beverage jacket for your needs. While there are name brands out there that many have come to recognize when it comes to all things ice and cold retention related, we want to provide you with similar products that could save you some money. Here’s a closer look at how the RTIC can koozie stands up against the well-known Yeti Colster. As you can see from the comparison in the RTIC koozie vs Yeti table above and what actual users are saying about the product, what you will find is an extremely similar product with one costing a third of the other. 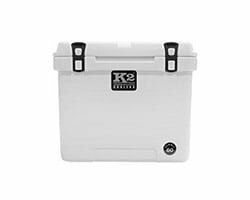 Both the RTIC and Yeti koozies function in the same manner where you will find the insulated body of the can cooler being one piece and the circular gasket being the other. On both models, once you place your can or bottle within the cooler housing, all that will need to be done is for the gasket to be placed over the top of the beverage and screwed in place to lock both pieces together. 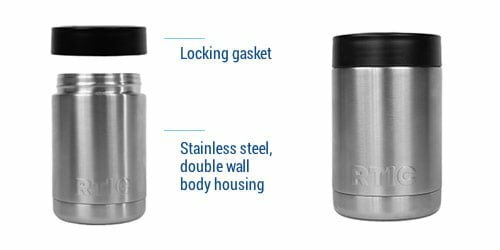 Both models offer the double walled vacuum insulation to ensure longer cold retention times, while the stainless steel outer body will give you more durability on the go wherever your can koozie may go. One user mentioned engraving on these can coolers, and reported that the ability to personally engrave on the RTIC worked just as well as engraving on the Yeti brand of can koozies. So, which one do we recommend? Well, from a purely value standpoint we would have to select the RTIC Can Cooler. 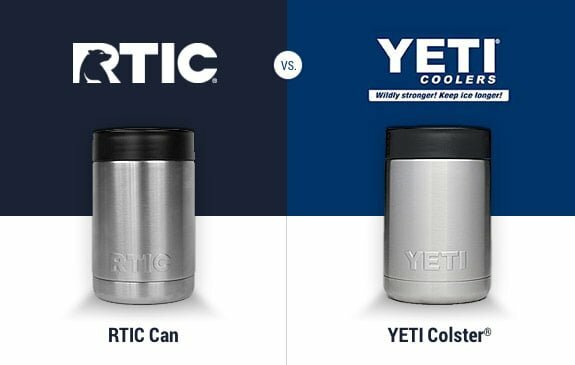 Based off of a side by side comparison and what many users are reporting, the RTIC can koozie and Yeti Colster perform similarly, but at two very different costs. RTIC’s reviews on Amazon have been pretty positive, so we think our judgment may well resonate with what many of you think of the “RTIC can cooler vs Yeti Colster” battle. 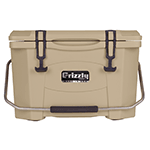 If, however, you are more prone to purchasing name brand products that have a larger name recognition and don’t mind paying three times as much, then by all means purchase the Yeti Colster. Whatever you choose, you’ll end up buying a good quality product. We truly hope that you were able to get specifically what you were looking for within this genuine RTIC koozie review. We know that there are probably many other RTIC can cooler reviews out there, but we wanted to give you a hands-on, in depth look at what you can expect when you purchase the RTIC can cooler. As we mentioned earlier, we do recommend this product as opposed to its competitors on the market based on a purely value driven standpoint. With all things remaining the same, cost plays a significant factor, which is why we can comfortably recommend this product. If you have been looking for a can koozie to keep your beverages cold at home, at the office or on the go, you can’t go wrong with the RTIC koozie.